Do your eyes water on windy days? Are you always stuffy when it rains? That's no surprise. Weather is a common allergy trigger. Dry, windy days. Wind blows pollen into the air, causing hay fever. If you have pollen allergies, shut the windows and stay indoors on windy days. Rainy or humid days. Moisture makes mold grow, both indoors and out. Dust mites also thrive in humid air. But if you're allergic to pollen, humid or damp days are good. The moisture weighs down the pollen, keeping it on the ground. Cold air. Many people with allergic asthma find that cold air is a problem, especially when they exercise outside. It can trigger a coughing fit. Heat. Air pollution is worst on hot summer days. Ozone and smog can be a serious trigger for people with allergic asthma. The change of seasons also has a big effect on allergies. Spring. 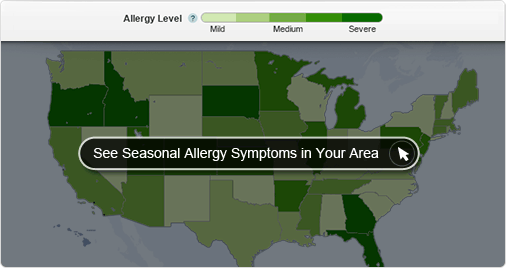 In cooler states, plants start to release pollens in February or March. Tree pollens are also a common spring allergy cause. Summer. Early in summer, grass pollen can trigger reactions. Later in the summer, ragweed and other weeds can become a problem. Mold can hit its peak in July in the warmer states. Fall. Ragweed season usually ends with the first frost in October. In colder states, mold tends to be worst in the fall. Winter. Indoor allergens -- like pet dander and dust mites -- can become more of a problem in winter. Why? When it's cold out, you spend more time indoors. Steroids for Your Nose? Yes!